Assisted living retirement is ideal for residents of all ages who have some limitations in physical and cognitive health. 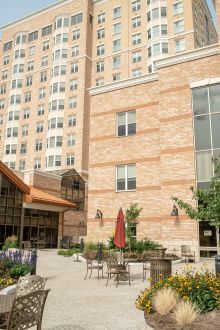 Care in these retirement communities is intended for residents who need on-site assistance with personal care, mobility, medication management and support. "Assisted living" is a part of the traditional continuum of care, a model of care services that is changing with time. In our new guide, we look at facing some last minute fears, how communities welcome people, getting the full benefit of this life-change and more. Take a full look at how to adjust to assisted living. Still deciding? Be sure to understand all the pros and cons of assisted living. On a continuum of retirement care, assisted living offers a bit more independence than traditional long-term care facilities in Canada. It is also less costly than other levels of care. The US-based National Centre for Assisted Living defines this resident as someone who is still "mobile, but needs assistance with approximately two to three activities of daily living (ADLs)." These activities of daily living are eating, bathing, dressing, toileting, transferring (walking) and continence1. Learn more about ADLs. Definitions of types of care are not strictly adhered to everywhere, of course. In the province of Alberta, for example, the phrase "supportive living" is more commonly applied to the same care level commonly called assisted living elsewhere in Canada. In the United States, the phrase may apply more discretely to facilities where people have disabilities. In some respects, there is a growing erosion in distinctions between terms like assisted living and other types of care. As one administrator tells us, "When I hear that phrase, I want to know, 'Assistance with what?' Every client's needs are distinct. Physical problems come in a wide spectrum. Dementia also comes in various stages and in a variety of forms…" For now, though, many care homes still adhere to this definition that entails the need for on-site assistance with personal care, mobility, medication management and support; that is the loose definition we continue to work with for now, also. Feel the need for a break from caregiving for elderly parents or relatives? Great idea. And this can help you be a better caregiver. Respite care stays offer caregivers a break. It's not well-known that a short stay in a retirement home can be subsidised by the government. For example, in Ontario, a respite care stay can be recommended by your local Community Care Access Centre. If you have to be out of town for a while, this can also be a good reason for a retirement home short stay. Respite stays can be 24 hours (depending on what the home allows) or up to 90 days. Different residences have different rules, so consult with each home to learn what they offer and allow. Has your loved one been hospitalized or had a medical crisis? 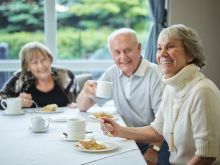 Variously called a recovery stay or convalescent care stay (among other terms), this type of short term stay is an excellent way of using local care homes to your advantage. If your loved one has been released from the hospital and is not quite ready to return home, a short stay in assisted living facilities is a great bridge. Often, this will be on the recommendation of a physician. Consult with homes listed above to learn if they offer temporary stays, or check out respite care and convalescent care options near you. Assisted living care costs vary across Canada and also depend on the level of care required on a monthly basis. Rate prices are higher for people with high needs requiring a higher level of care as part of their assisted living retirement community stay. Of course, rates vary across Canada and also depend on the level of care required on a monthly basis. Costs are higher for people with high needs requiring a higher level of care as part of their assisted living retirement community stay. Costs can also vary depending on local factors. Real estate prices and rental rates are, of course, very different in large centres vs. smaller communities; average real estate prices affect retirement unit rentals. 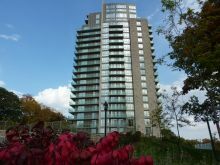 For example, a home in a town in southeastern Ontario may cost in the range of $1700 per month while a home in downtown Toronto offering a similar level of accessibility, amenities and other assisted living features may cost over $3000 per month. The physical location of the facility and the amenities offered may also affect the cost of the home. The following provides a basic survey of some costs you may pay for assisted living, in locations across Canada, including major centers in several provinces, as well as a variety of other cities and towns. This provides only a survey. In some of the above cases, care does not include bathing, dressing and other assistance, although these were includable on a per-care fee basis, based on client needs. With today's senior care, there is an increasing move toward tailoring services and care individually, to best match individual needs. This means that you can use the above figures as a general guide but you will need to consult with homes to fully understand final costs you will be charged. Assisted living need not be prohibitive for families, and there are a variety of funding options. This includes government pension, your personal investments and savings, and other sources; review all the typical financing used by other Canadian seniors and their families. Some insurance companies offer long-term care insurance as part of their benefits package, and if you are fortunate enough to have this, it can go a long way to easing the financial burden of retirement care. Over time, Comfort Life has done several case studies and closer look at the benefits of thinking ahead and purchasing this type of insurance. Stephen Gadsden, a certified financial planner (CFP), provided an overview of the value of purchasing long term care insurance for assisted living care. Mary Robertson, also a CFP, looked at the projected benefits of purchasing insurance now, with an eye toward projected care costs in the future. In general, there is very little direct government support available to Canadian families and seniors seeking help to pay for assisted living care 2. Quite often, families take care of their own family members, then move into getting help through home health care services then move into seniors' care. Care homes offer a variety of payment options tailored to your needs and abilities. Quite often, seniors and families get a reality check when they sit down and look at their finances, figuring out what it is actually costing them to stay at home – property taxes, heat, hydro, water, home repairs, car payments, gas, etc. – even in a home that is fully paid for. Compared to the flat rate you pay when you move into a care facility, the cost of moving into a retirement home is not nearly as prohibitive as it might look on the surface. The most common types of activities requiring care support in an assisted living home are bathing and dressing, according to a survey by the US-based National Centre for Assisted Living. However, toileting, transferring and eating assistance are all typical care requirements. A survey in 2010 showed the following results in terms of percentages of residents requiring which services. In addition, nearly 40% of residents required aid with three or more ADLs. 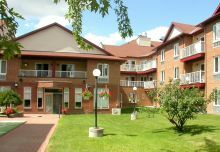 In North America, an estimated 1.2 million people are living in this type of care facility, with this number increasing steadily every year as the baby boom generation ages1. Since people in general value self-reliance, many people resist the idea of getting help, but as seen here, there are many others in the same boat. Having these basic needs taken care of frees residents up to enjoy life as much as ever, otherwise. In the evolving world of seniors' care, definitions are not always clear, and are certainly not consistent from one province to another. "Assisted care may mean something different in every retirement community," says Barb Sutcliffe of Schlegel Villages in Ontario. Assistance with eating may be the result of a physical disability for one resident, but caused by a mental issue with another, and the assistance required may be different for each of those residents. In many independent living facilities, people get assistance in the form of meals provided, housework done, etc. Memory care may be a special section or wing in some assisted living homes. In general, memory care is a specialized care offered by residences, where residents' needs are understood by all attendants, and specialized technology may be in use. Memory care means dedicated resources to deal with Alzheimer's Disease and its symptoms. Learn more about memory care. Mobility care in an assisted living home. 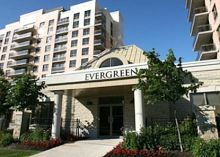 Many retirement residences, especially newer ones, are designed with mobility concerns in mind. Personal assistants are onsite to help seniors who are immobile, and there will be many mobility aids onsite. These will include in-suite hand rails, bathroom mobility, elevators, wheelchair ramps and more. Incontinence is embarrassing to all involved but the discomfort can be eased greatly when handled by professional caregivers in a proper care home. Retirement homes with incontinence care offer relief to elderly patients suffering from urinary or bowel control problems. They handle it with grace, professionalism, care and dignity. Care and services offered in assisted living homes will include dealing with bedwetting, fluid monitoring, bladder volume training, bedwetting alarm systems and various pharmacological therapies. 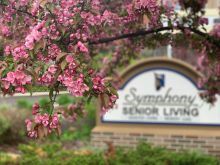 Not every assisted living retirement home is the same as the next; each may have different stated specializations, and each home may have different abilities and facilities at any given time. This is why it is important to look around at different options in your area and research as much as you can, online and elsewhere. Different homes may be differently equipped to suit the specific needs of yourself or your loved one, so you want to find the one that is best outfitted to take care of your specific requirements. Speak in great detail, with a variety of operators and don't rush into a decision based solely on proximity to your home, or cost, or some other aspect of convenience only. In provinces across the country, there are variations in the way assisted living (sometimes called assistive living) is understood, and how this type of care is governed provincially. In British Columbia, assisted living is government regulated as it has been since the 2002 institution of the Community Care and Assisted Living Act. 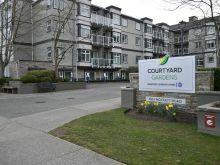 There are subsidized assisted living residences in BC, as well as many privately run facilities that offer exceptional care. In addition to government regulation, homes are also covered by the British Columbia Senior Living Association's (BCSLA) Assisted Living Registry, a provincial seal of approval ensuring you get the best care money can buy. BC's Bill of Rights for Residents provides a summary of standards of care, and the BC Ombudsperson provides annual updates to a 2012 report on offering The Best of Care for Seniors in British Columbia. Read more about assisted living in BC. Alberta, as mentioned above, uses the distinct term 'supportive living' to refer to the same essential care level described as assisted or assistive living in many other areas. In the province of Alberta, vulnerable seniors are covered under the Protection for Persons in Care Act as well as the Supportive Living Accommodation Licensing Act, a comprehensive act that offers specific prescriptions governing care homes licensing, inspections and more. Read more about supportive living in Alberta. In Ontario, assisted living is still viewed as a discrete type of care in many homes but within the industry, this definition is undergoing some revision. For example, many homes distinguish between the specific needs related to mental health as opposed to physical health, and retirement homes may be set up with distinct care areas related to different client needs. Read more about assisted living in Ontario. "Activities of daily living" (sometimes tasks of daily living) is a phrase used often in the care industry, covering everyday abilities many of us take for granted. The typical list of these daily activities is: eating, bathing, dressing, toileting, transferring (walking) and continence. As people age, one or several of these may become a problem, and assistance may be required in order to carry these out. When people run out of other care options such as home care or caregiving by a family member, they begin to consider the need for a retirement home. Most common signs that families need to consider the need for a retirement home are things like declining attention to personal care (bathing), incontinence (toileting) or decreased mobility (transferring). Before choosing assisted living for yourself or for a loved one, there are many considerations. Foremost among these, for many people, will be the cost, but it's important to not compromise at the expense of getting the proper care that you require. Exceptional care is provided by many of the homes listed here at Comfort Life, and you may be able to afford more than you realize. Be sure you know all your funding sources, and consider at least four or five different facilities that meet basic criteria you have in mind. Don't be afraid to look outside your area, and perhaps even outside of your financial comfort zone. Keep an open mind, as they say. As you consider the variety of assisted living options in your area, be sure to take the Retirement Home Checklist with you. Some specific (or especially emphasized) concerns that apply, for those who are looking at assisted living care. Does the retirement home meet provincial standards? What accreditation does the residence have? What are the costs and what services are included in these costs? What varieties of in-home care are available and what are the costs associated? Do they offer a written service policy? Do residents seem happy or content with staff and with the retirement community facility? Are there reviews of the community? How many staff members are on hand and what general attitude do they express? Does staff make you feel comfortable and give the overall impression of caring professionalism? How much experience do they have dealing with your specific assisted living needs? If a short term stay is ideal for your case, is this available and encouraged? Is the housing modern or well designed for contemporary senior care needs? How recent are facility updates? How much staff turnover is there? How current is their call bell technology and how well are call bells located? Do residents have a choice of where to eat? Is the community clean and well kept? What recreational programs are available and how well suited are they to your loved one? How firm are the rates and what is the residence's history of rate increases? Take this as a checklist, take a copy of the Checklist and add your own concerns. "I love how it gives me more time to do things with my husband. I'm amazed at how we feel at home here." For people trying to remain in their own home, life can eventually become too difficult, and you have to know when it is time to move. Various people – including family, social care workers, medical professionals – may be urging you to move into a retirement home where you can get the care you require. Many people, though, are reluctant to move. Marie was one senior who did not want to move. “I’ll admit to you,” she said, “it was very hard to leave.” However, her husband suffered from deteriorating health and required assistance in just getting around the house. Like Marie, you may come from a generation that finds it hard to admit the need for help. Prepare yourself to be pleasantly surprised at how beneficial some assisted living facilities can be. Before finally moving out of her own home, after, admitting that her husband "couldn’t do things around the house anymore," Marie took the doctor’s advice and gave a chance at looking into assisted living retirement homes near her family. "I was amazed at how it actually felt like a home!" The residence she moved into was amazing for a variety of reasons. First, everything was wheelchair accessible, and every wheelchair in the entire facility is equipped with a GPS pendant that brings instant help when pushed. The couple takes part in many of the recreational activities offered at the community. Marie also loves "not having to cook meals." Communal meals are just one more added benefit of living in an assisted living home; they simply eat together without groceries to buy, without preparation needed and without dishes to clean up. “I love how it gives me more time to do things with my husband,” says Marie. You can read more about how Marie grew to love the assisted living home she moved into. Assisted living helps make daily living more comfortable and relieves many of the minor stresses of daily life. You’ll find great relief in handing off daily tasks to others.